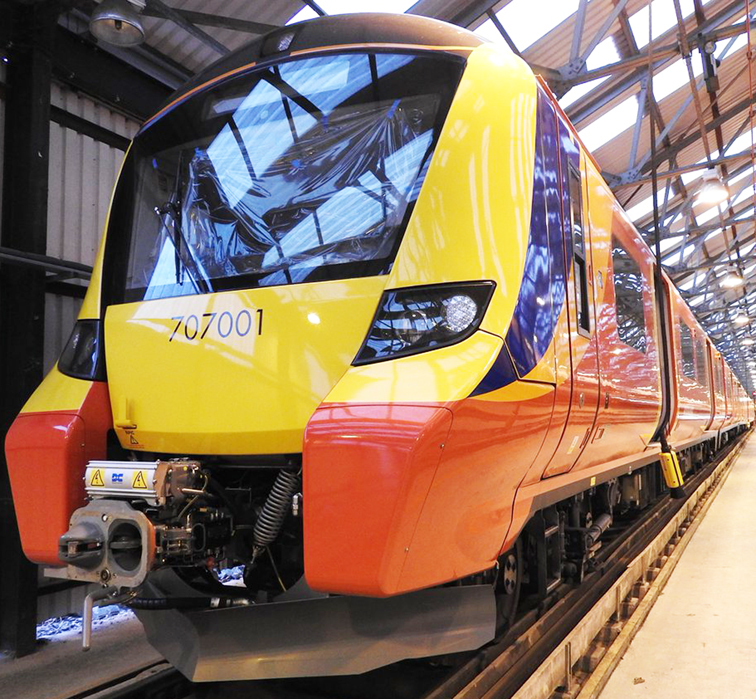 SOUTH West Trains recently took delivery of the first of its 30 new Class 707 high density inner suburban five car trains. The Desiro City (707101) rolling stock is now under wraps at Clapham Junction after vandals sprayed it with graffiti shortly after its arrival. It was hauled by two Class 37 diesel locomotives from Dollands Moor freight year near Folkestone after making its journey through the Channel Tunnel from the Siemens testing centre at Wildenrath near Dusseldorf in Germany. The new trains will be seen on the Woking to Waterloo line but will mostly run on the route from London to Windsor & Eton Riverside. Costing £210 million the new trains are expected to enter service across the network from June this year. One railway enthusiast recently spent £2,550 securing a cab ride in of one the new trains at the Siemens test track in Germany after SWT offered it on eBay.